A fight is brewing over Dow’s Enlist Duo, an extraordinarily potent weed-killer designed to kill the new generation of so-called “superweeds” that have adapted to withstand blasts of Monsanto’s popular weed-killer RoundUp. Enlist Duo is composed of two harsh pesticides: 2,4-Dichlorophenoxyacetic acid (2,4-D), a herbicide invented in 1946 and long known to be toxic to people and the environment, and glyphosate, the main ingredient in RoundUp. Dow AgroSciences (a wholly owned subsidiary of Dow Chemical Co.) received approval by the U.S. Department of Agriculture to allow the mass distribution of its latest products: genetically engineered (GMO) corn and soy varieties created to resist 2,4-D as well as glyphosate. Not long after the USDA approved the seeds, the U.S. Environmental Protection Agency approved the use of Enlist Duo across America’s heartland. Now Dow intends to market Enlist Duo to farmers so they can escalate their attacks on superweeds spurred by widespread RoundUp use. According to the USDA, planting 2,4-D-resistant GMO crops nationwide would more than triple the spraying of 2,4-D by 2020. The department also indicated that communities near 2,4-D-resistant corn and soybean fields would be exposed to eight times more 2,4-D than is now the case, and even greater amounts, according to independent estimates. Americans’ exposure to this toxic herbicide would soar. Click here to read EWG’s official comments to the EPA outlining how the agency’s risk assessment of Enlist Duo is too flawed to proceed. 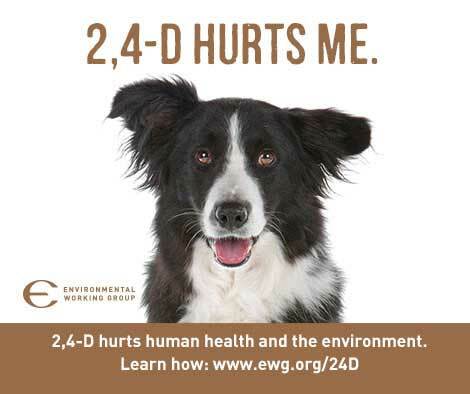 Click on the links below to read more about the hazards of 2,4-D herbicide and Dow’s 2,4-D-resistant crops to human and environmental health. Enlist Duo promises to kill herbicide-resistant weeds, often called superweeds, which developed after farmers across the nation adopted Monsanto’s RoundUp herbicide containing glyphosate to use in conjunction with “RoundUp Ready” crops starting in the late 1990s. Enlist herbicide, a combination of the potent chemicals 2,4-D and glyphosate, is designed to be used in conjunction with 2,4-D and glyphosate-resistant corn and soybeans. 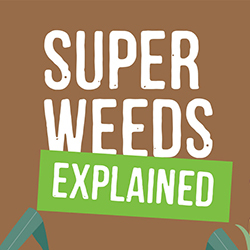 2,4-D may kill many weeds that can survive blasts of RoundUp in the short term, but deploying it would perpetuate the superweed problem. Weeds would soon adapt to survive 2,4-D in addition to glyphosate. Researchers have linked 2,4-D to hypothyroidism, suppressed immune function, Parkinson’s disease, cancer and other serious disorders. 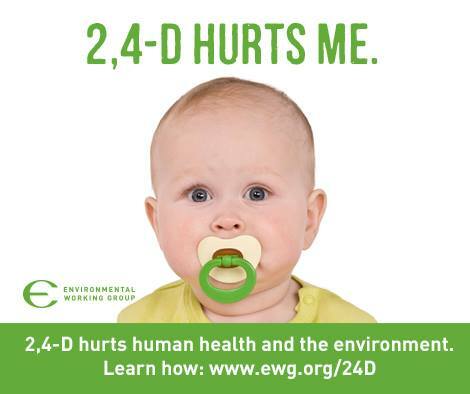 The EPA has approved Dow’s Enlist Duo for use in 15 states, and the USDA concluded that the use of 2,4-D is likely to triple and could increase as much as seven-fold by the end of the decade – dramatically intensifying Americans’ risk of exposure to this toxic chemical. 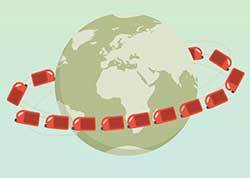 America’s farm families and communities would be put at heightened risk by increased exposure to 2,4-D. The USDA and Dow AgroSciences estimate that 2,4-D-resistant corn and soybeans could cover up to 75 million acres -- nearly half of the total corn and soybean acreage in the U.S. today -- within five years. If these new varieties replace all glyphosate-resistant corn and soybeans where Monsanto’s RoundUp herbicide is used today, up to 154 million acres of American farmland would be sprayed with 2,4-D.
Farmworkers could inhale 2,4-D and get it on their skin while spraying it. The chemical could drift from sprayed fields into nearby neighborhoods. People would track it into their homes. The damage can reach beyond the farmers who live close to sprayed areas. In fact, once it is sprayed, 2,4-D can transform into a gas and float to both nearby and distant fields. 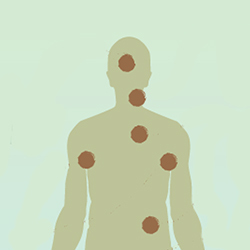 The chemical 2,4-D has been linked to a number of health hazards, including disruption of hormones and reproductive functions, elevated risk of cancer and Parkinson’s disease.